Damon Runberg is a state economist with the Oregon Employment Department covering Central Oregon and the Klamath Basin. He calculates the monthly employment and unemployment estimates for the area’s counties; additionally Damon tracks various economic indicators critical to the region’s economy. He writes prolifically and regularly gives presentations on the state of the local economy. Damon, a native Oregonian who has lived in Bend for the past six years, received his Master of Public Policy from Oregon State University (Corvallis) where he specialized in econometric analysis and natural resource economics. Before that he received his undergraduate from Gonzaga University. 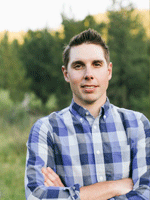 When not in the office, Damon can most likely be found fly-fishing on the Deschutes, mountain biking, or competitive bicycle racing with the 10 Barrel Cycling Team.